4 Mistakes You're Absolutely Making While Repaying Your Student Loan Debt | Passive Income M.D. Today’s guest post is from Travis Hornsby who founded Student Loan Planner after helping his physician fiancée navigate ridiculously complex student loan repayment decisions. To date, he’s consulted on over $200 million in student debt personally, more than anyone else in the country. He’s been featured in U.S. News, Business Insider, Rolling Stone, DentalTown Magazine, Physician on Fire, The VetGirl Podcast, and more. I’ve made a career out of helping physicians with six-figure student loan balances figure out how to maximize the “rules of the game.” I started out doing this because my wife Christine had a sizable chunk of debt from med school. We had the money conversation, and I realized there was a lot more to the complex federal student loan rules than meets the eye. After making plans for about $250 million of loans, there are patterns that begin to emerge. Many of you are attendings, but some are working at 501c3 type hospitals and others are working in private practice. The first two tips will be for folks pursuing the Public Service Loan Forgiveness program while working at a not for profit hospital. The other two tips will help if you know you need to pay down your student loans one day. One of the most common errors I see physicians make is assuming that they could never qualify for Public Service Loan Forgiveness (PSLF). Many worry that their income is too high relative to their debt to receive any benefit. Here’s a typical case. Tim, a university hospital employed radiologist, owes $300,000 of student debt but earns $350,000 per year. Although he’s heard about some form of loan forgiveness that exists, he assumes that since he earns so much, it won’t help him. He looks at private refinancing deals, but we stop him right before he takes the leap because of something that Tim is missing. To receive PSLF, you must make payments on an income driven payment plan for 10 years while employed at a not for profit institution full time. 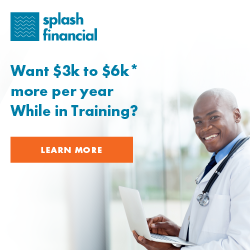 If you ever make too much to qualify for one of these plans, your payments cap out at the Standard 10-year plan, which still counts toward PSLF purposes. In this case, the difference is over $200,000 over a five-year period. While refinancing has a place, it can wreak havoc when a doctor hasn’t fully understood his or her options based on their employment status. I recently saw a post from a physician who believed that he was saving tens of thousands per year because of his tax filing strategy. He would file separately and thus exclude income that would cause his income-based payment amount to be truly massive, or so he believed. In fact, not only was he not saving as much as he thought, he was costing himself approximately $2,000 every year by doing this. Sometimes filing taxes separately can be a very smart move for those pursuing PSLF. However, in cases where the penalty is very large, you can often reduce payments in other ways that are not as costly. The most common cases where I see physicians file separately when they should file jointly are when their spouse is a physician with debt too or their spouse doesn’t work. There’s a grey area where it could make sense to file separately if your spouse has no student debt but also has an income. Unfortunately, your CPA will only be able to quantify the impact of the tax hit from filing separately. He will probably not be able to explain how it impacts your student loan strategy. In general, if you decide to file taxes as married filing separately, you need to double check your math to make sure it’s the right decision. Many physicians might invest in target date retirement funds in their 403b or 401k. These “fund of funds” usually contain bond investments. 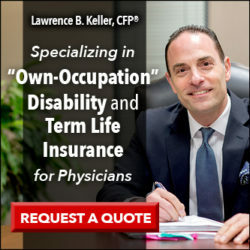 Often times, physicians will own bond funds or municipal bonds directly. Interest on student loan payments is not tax deductible. Even if you refinance down from an abysmally high 6% or 7% to a 4% to 5%, you pay the interest with after-tax dollars. For those of you who are attendings, that means the pre-tax equivalent rate could be as high as double what’s stated. A physician who owns bonds in their portfolio while still having student debt that they need to pay off one day is suffering from self-inflicted “negative arbitrage.” Investing is difficult enough without locking in a loss each year just to provide the illusion of portfolio stability. Keep in mind that a financial advisor paid on an assets under management arrangement might not be motivated to figure this out for you. While bonds have a place in a well-diversified portfolio, I believe they have no place until all student debt that needs to be paid off is gone. Many of my clients are in their late 20s or early 30s and have not had the opportunity to build equity in a home or make real estate investments yet. That said, there are more physicians than you think who are holding onto large equity positions in real estate while paying down privately refinanced student loans through a different bank. You can deduct interest on a home equity loan of up to $100,000 on your taxes. 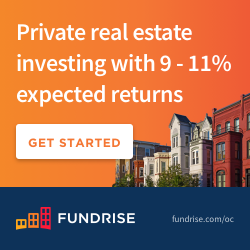 In markets like San Francisco, Austin, Seattle, etc., I often see individuals who have 30% to 40% equity because they used a conventional mortgage in a fast appreciating market. If that’s you and you’re paying down student debt, you might be able to extinguish up to 100k of your student debt at a tax-deductible interest rate. Recall that a 5% student loan is really like a 10% tax deductible mortgage. Creating a more efficient “portfolio of debt” can lead to thousands of dollars in savings each year. My average client has around $280,000 in student loan debt. Many physicians think they’ve got their student loans under control only to discover that there are ideas and strategies they haven’t thought of before. Start by doing your due diligence to make sure you’re not making the common mistakes that trip up so many of the MDs I speak with. You can get a customized plan for tackling your student loan debt when you work with me. I’ve consulted on over $200 million in student loan debt and helped clients save more than $45 million. Are you making these same mistakes or any other that you’ve seen or run into? 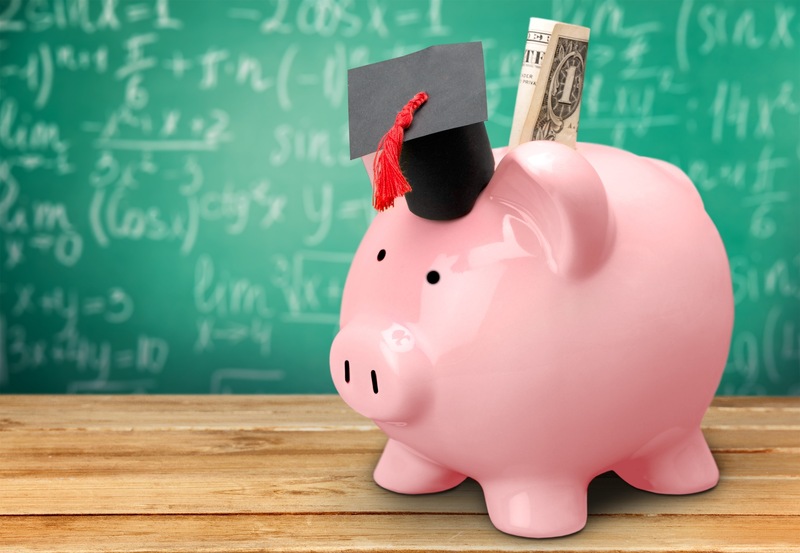 Want some more resources on student loan refinancing? 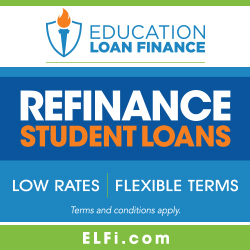 Visit Student Loan Planner or check out our Student Loan Refinancing Page. I wish this post was around when I needed it a couple of decades ago. I was awful at doing this (it is listed in my financial mistakes series on my blog) as it took me 22 years to pay back and I committed the cardinal sin of forbearance and deferment to make my interest accumulate more and subsequently become principal. I actually was lucky that I did realize on my own that because of my student loan interest not being tax deductible because of my salary phasing it out that it was smarter to refinance my home and use the extra equity to transfer student loan debt into mortgage debt which was tax deductible. Great information but one point worth clarifying for your readers. The tax cut and jobs act has eliminated the interest deduction on home equity lines of credit unless the money is used to buy, build or substantially improve the taxpayer’s home that secures the loan. Point four is unfortunately no longer available. I felt so smart for noticing that point, and ran straight to the comment section to proudly announce it to the world! …but you beat me to it. Oh well. You can still get Heloc and use that for repairs on your house and then sent that same amount towards your student loan. This would still save you some money. If you remain on an income based repayment plan and pay the 20+ years and have it forgiven then, that remaining portion is taxed, not pslf. I would say #1 is extremely misleading. While you may initially qualify as having financial hardship when your debt to income ratio is high, eventually there’s an inflection point where you no longer qualify for any income driven plans as your start to pay back your loan (you have to recertify your plan every year). Your income will grow and your debt will lower also. Then you’re forced to pay the standard 10 year plan and you’ve wasted a couple years paying more interest when you could have refinanced for a lower rate. You may not have that much money forgiven at the end as what’s quoted above. Also, many non-profit institutions employ their physicians in a for-profit physicians group and it’s hard to find a true non-profit. This is only good advice if you’ve got a lot of debt, a big household, have been training for a long time, and don’t make much money. And then there’s all the issues folks have been facing qualifying for PSLF and getting loans forgiven. I don’t know the in’s and out’s of PSLF qualification and please correct me if I’m wrong, but I feel #1 is not good advice. In my opinion, another big mistake people make is that failing to notify their loan service department about changes in contact information. Borrowers must update their address and other contact information to receive loan statements and bills on time. old contact information can cause delays which may lead to late loan payments.